New Home and Away kits were introduced for the Club's first season back in the big time, and after wearing a red rugby style kit over the past few years as the change kit, United stuck with the colour scheme for the new Away shirt. 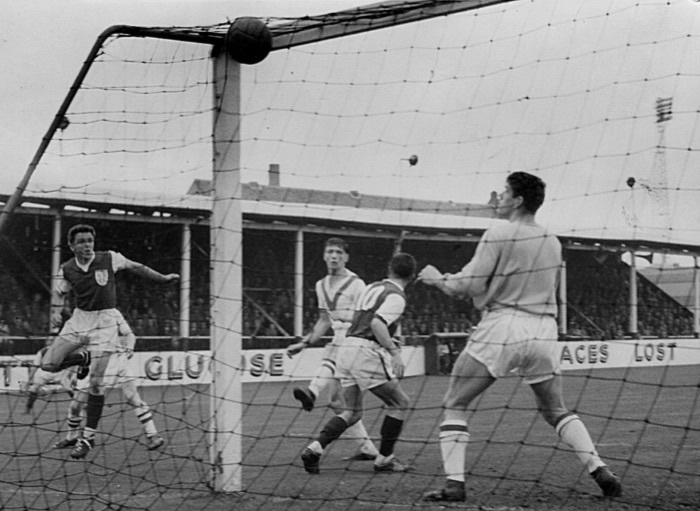 The new "Arsenal" style shirt had a red main body, with a white V neck collar, and white sleeves with a red trim. 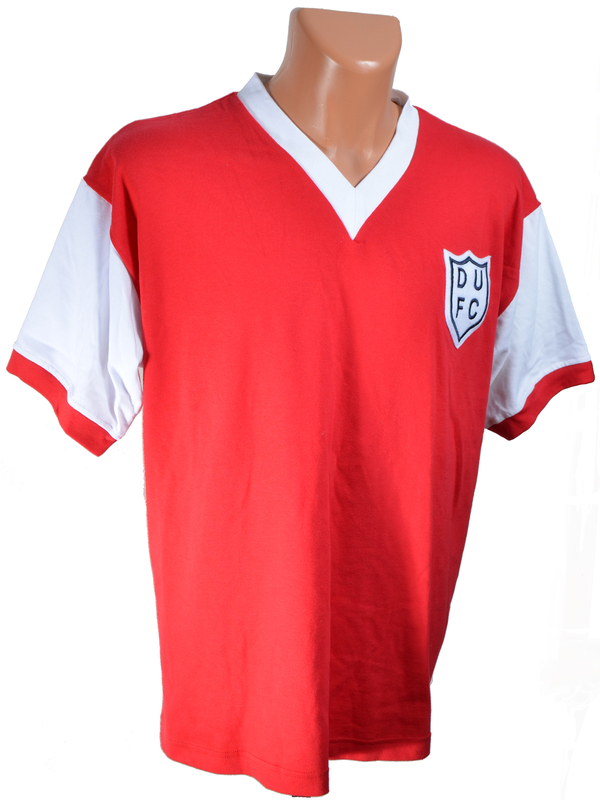 The DUFC Shield was worn on the left breast - possibly the first time an Away shirt was adorned with the Club badge. The shirt was usually accompanied by white shorts, and red socks with white tops. So far, the earliest evidence we have found of this kit being worn are from photographs from the Division One match versus Airdrie at Tannadice in October 1960, although we have still to confirm if this was indeed the first time it was worn. As the Home shirt was similar in colour, and in some cases the same design, as a few other Clubs in the First Division at the time, the Away shirt began to be seen more and more.